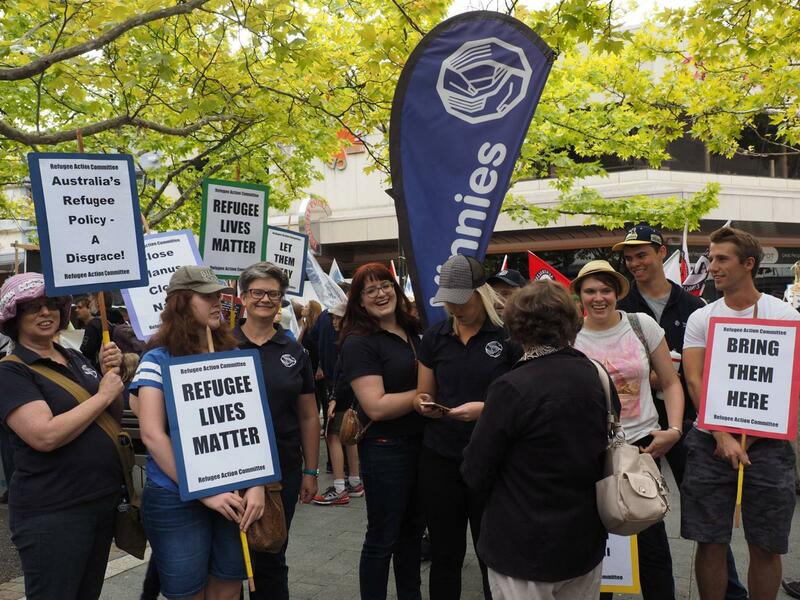 Members and supporters of the St Vincent de Paul Society invite you to join us when we take part in the Palm Sunday Walk for Justice for Refugees 2017 on Sunday April 9. A large and vibrant turn out for Palm Sunday 2017 will send a clear message that Australia must adopt an alternative approach to those fleeing persecution and war – an approach based on fairness, compassion and respect. Find or add events in your local area to CAPSA’s online calendar for Palm Sunday rallies. The Society is deeply troubled by the ongoing injustices experienced by those seeking asylum in Australia, including the intolerable conditions that refugees on Nauru and Manus Island continue to endure; the 30,000 refugees and asylum seekers who live in limbo in the Australian community on bridging visas or other temporary visas; and the increasingly vitriolic attacks on refugees and migrants both in Australia and abroad. Against this backdrop, it is as important as ever that we gather and express solidarity alongside those who have fled persecution or conflict but continue to experience injustice.